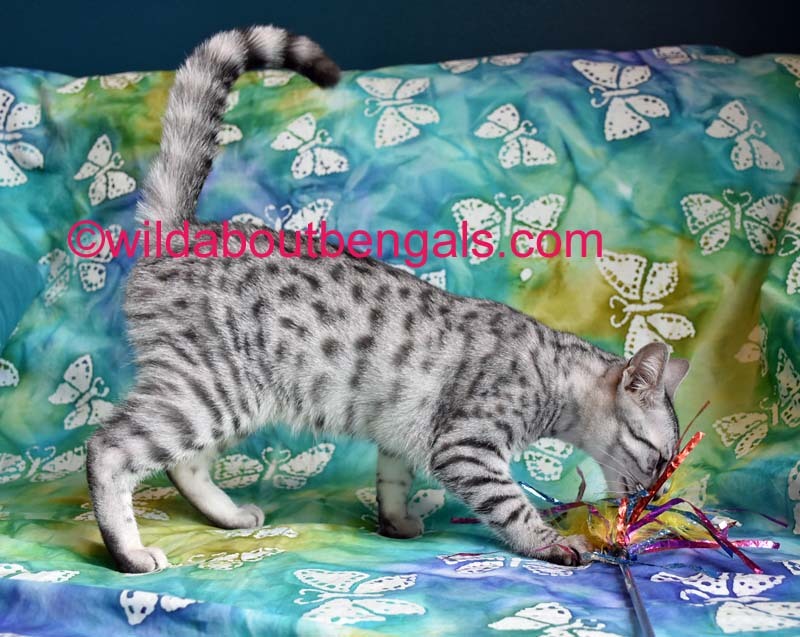 *I apologize for the watermarks over the photos, but scammers have been stealing photos from legitimate breeders and posting cats for sale, that they do not have or own, on other websites in order to scam people. If you recognize our cats or photos on ANY other site that does not list our cattery name with the photos, please contact me. 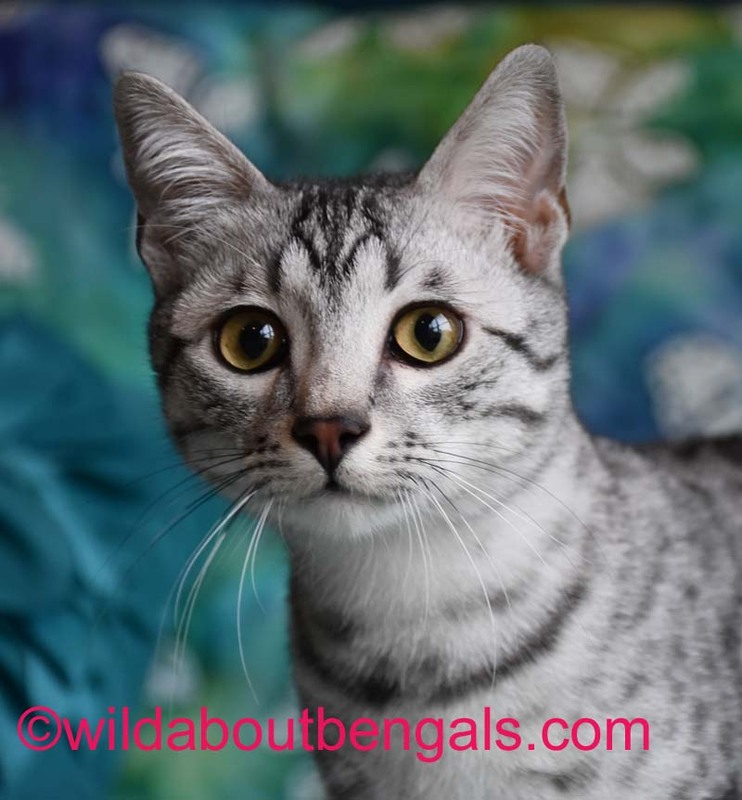 Scammers have been using my cat photos WITH the watermark on them on online classified ad websites and claiming to be affliated with me. 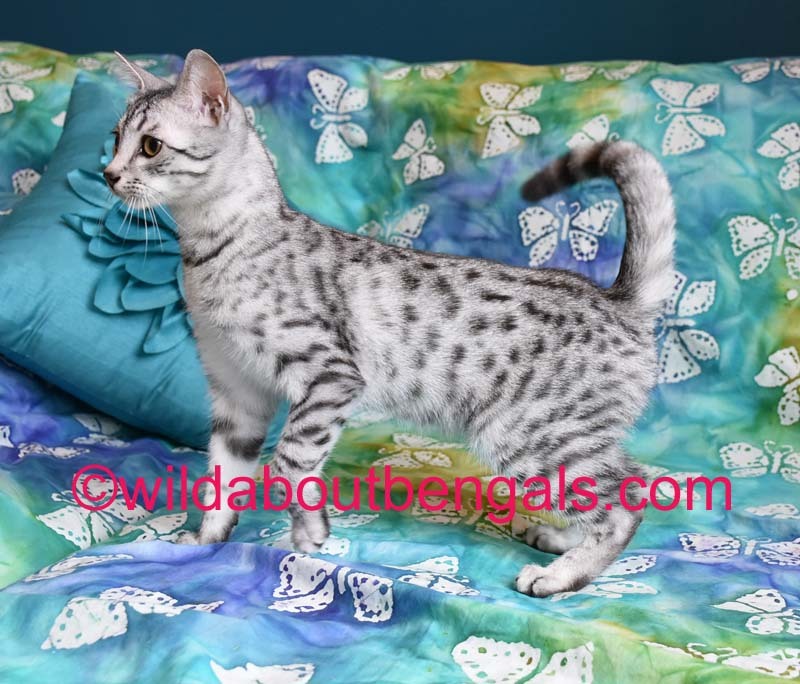 I DO NOT ADVERTISE CATS FOR SALE ON ANY OTHER WEBSITE OR ANY ONLINE ADS. I AM NOT AFFLIATED WITH ANYONE ELSE OR ANY ADS-I DO NOT CO-OWN CATS WITH ANYONE ELSE NOR DO I HAVE OTHER PEOPLE AUTHORIZED TO SELL CATS FOR ME. All of our breeding Maus are Silvers, so that is predominantly the color we produce, but they will produce some Bronze and Smokes occasionally. 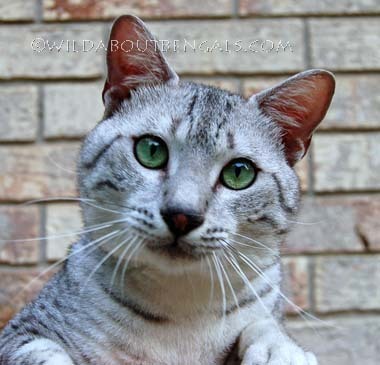 Our Maus have super sweet and affectionate personalities. They are very loyal loving companions, very intelligent, and even tempered. Egyptian Maus are a small to medium size breed of cats, with females weighing about 6-7 pounds, and males weighing 9-12 pounds on average. 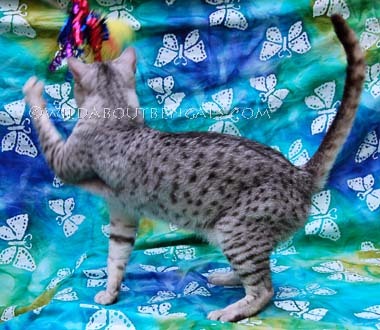 Maus are also a very active breed, and enjoy a lot of interactive play with their family members. 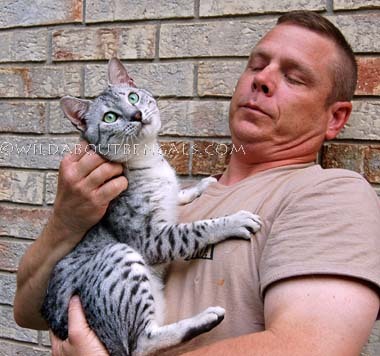 They get along well with other cats and pets, with their charming and easy going temperaments. 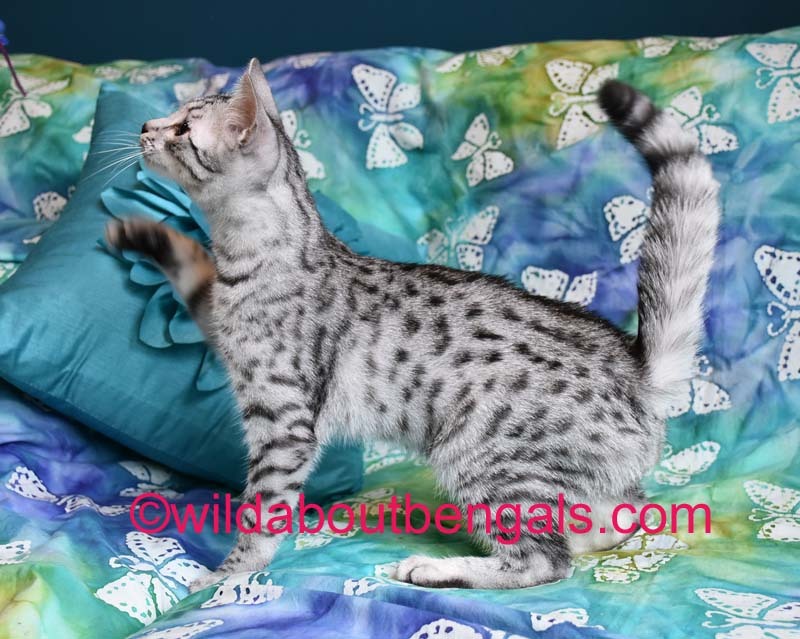 Please read our Egyptian Mau Breed Profile for more detailed information about this wonderful breed. Jax is our new young Mau King contributing to our breeding program beginning in Mid 2018. Jax brings some new bloodlines into our program that we are very excited about! Jax is the sweetest boy, and high energy, full of mischief and play! But always has time for lots of love and affection. He will play fetch until your throwing arm goes out! He is on track to fill out to be a nice large boy also. 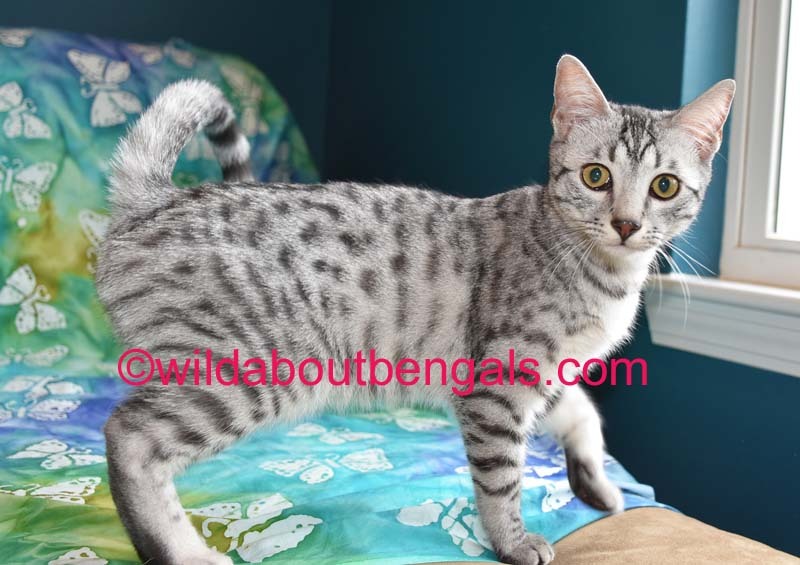 he has a beautiful coat that is pure silver, no tarnish with jet black spotting and markings. Dylan is the sweetest Mau you will ever meet! He is very social with people and other cats. Everyone is his friend! He loves lots of head rubs and ear scratches. He loves to be held too. He even tolerates being picked up by our toddler niece in those awkward ways toddlers tend to do (although he is too heavy for her to pick up very well!). Very curious and intelligent, as well as very active! He is a really big Mau boy with a large head and muscular build. And just look at those beautiful green eyes! Very lovely light and clear silver background coat, with no tarnish and nice jet black spotting. We can't say enough good thing about this boy, he is a wonderful all around Mau! He is producing some lovely large kittens with his super sweet temperament!